Well this week went by in a blink, didn’t it? Who am I kidding, they all do! Today is a pretty special Festive Friday around here… I am so excited to be participating in a Blog Hop celebrating the newest special publication from Paper Crafts Magazine: Holiday Cards & More. This issue holds a special place in my heart – it was in this issue one year ago that I first saw my name in print! You should have arrived here from Jocelyn’s blog. If you’ve landed here by chance, there is a full list of participants at the bottom of my post! This issue is a *fun* read. There is such an incredible array of inspiration on every page, and a great variety of project types. If you don’t have it, you need it. No, really. For today’s hop, we were challenged to use the Simple Sentiment downloads (get yours here! ), and incorporate them into a card design. Now, I am a stampy girl – I love the satisfaction of touching polymer to ink and smushing it down onto some cardstock. But these sentiments are so beautiful, it wasn’t hard to put down my blocks! When I started this card, I decided it might be time to use up some of my hoard stash. So there is a variety of older products used here, but I love how it came together. And can you see that sentiment flag? How adorable is that? I did mention a giveaway, didn’t I? 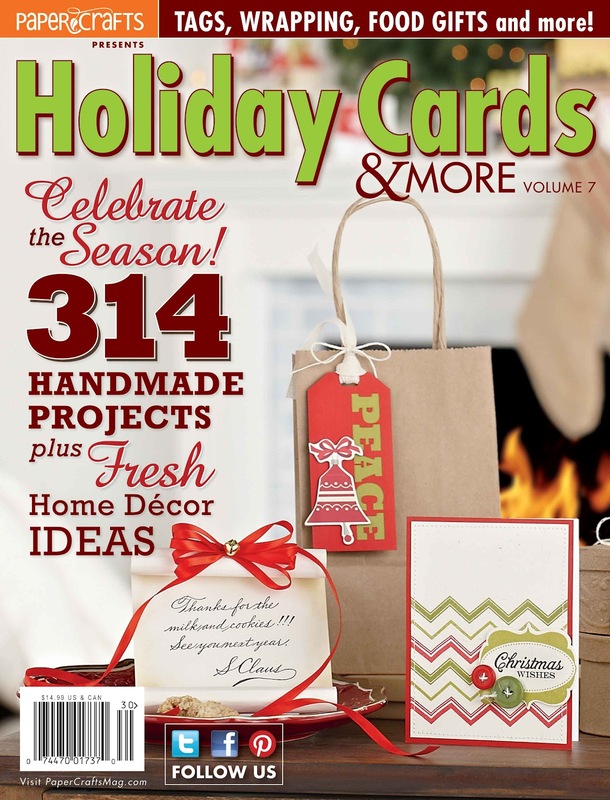 Paper Crafts has generously offered one of my readers a copy of Holiday Cards & More! All you have to do is leave a comment on my post before Tuesday, September 25. I will choose a random winner from the comments that day to receive their free issue! Your next stop is Clare Prezzia! Here is a whole Hop list for you, so you can be sure you didn’t miss any more inspiration! 11. 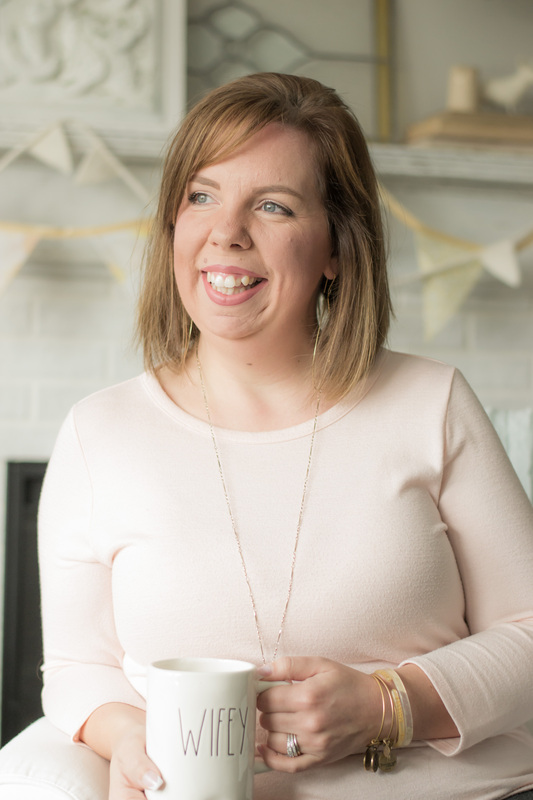 Meredith MacRitchie –> You Are Here! Fun card, I love the eclectic array of goodies you chose for it. Your card is my favorite! I love the chunkiness of it. It's super super cute! I very cheerful card! I love it! thank you. Wow this card is gorgeous! The banner looks so cute and all of the details of your card look great! Wow, your card is so beautiful. Thanks for sharing. Ooooo, love it! Love how you have the image nestled down in there!! beautiful and looks very vintage inspired! This is a great card- thanks for the inspiration on how to use up a stash. Stunning! I love all the details! I love your card – recent stalker, but have got some great inspiration from you, thanks ! And thanks for the opportunity ! Wonderful card, Meredith! I love all the layers and the way you've combined all the elements! I really love the dimension on your card that you created simply by curving the banner. I also love the little elements like the pins and glittered elements. Lovely card. The vintage feel is perfect! Meredith your card is so pretty and elegant. I love the sheet music! Gorgeous layering and details!! Love it! Wow–I just love your card!! The use of the doilies, lace felt, stitching–amazing!! The holiday music paper is so cool, and reminds me of a page from an older Golden Books Christmas book. I really appreciate your creative talent–thanks so much!! Pretty and I love the cozy and vintage feeling it gives! Oh how I love this card!!! Glitter, lace, felt.. so much fun texture and details!! Fabulous work! Isn't this lovely? The sheet music is so perfect and I love your little sentiment flag. So trendy. 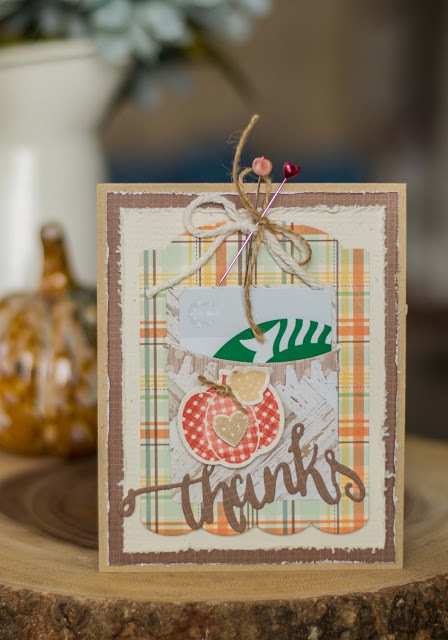 Love the way you combined older items from your stash to make a terrific card@! Wow, this is adorable, Meredith! Great use of your stash, too! You never disappoint Meredith! Love the vintage feel of your card and you'd never know that you didn't stamp the "holiday cheer" yourself! Great inspiration. Very festive. Love your attention to detail. Thanks for the inspiration. Your card is so pretty! I love all the dimensions on it! I like how you used a variety of elements on this card. I love the music paper. Thanks for sharing. What a richly layered card, and I love the gold doilies. Wonderful! Cute card! Love the pins you used as a nice accent. Love the comment about your h…d/stash. Great idea to use some of that in your card. I have some music paper that would work great in this idea. thanks. Love this card! Like the colors, music and embellishments! Very pretty! Absolutely gorgeous card! Love all the details! Gorgeous and luscious card, love the different elements. Beautiful!!! Super pretty card! I love the sheet music element you incorporated. Awesome card!! I love all the layers!! I love your old fashioned card–the music is perfect with the banner molded over it! Thank you for sharing! Very nice and lovely card! Thanks for sharing. Such a great card. Love the layers! 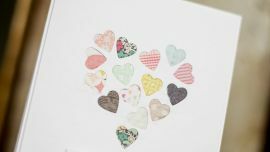 How awesome that you get to be in a Paper Crafts blog hop! Love your card – your style always makes me smile! I've pinned your card – just too delightful not to share and try to recreate. LOVE IT!!! Meredith!! Yours was the first name I clicked on when I saw the participants on this blog hop!! Congrats on participating!! and I love your card: the banner, the music paper, the doily. A very pretty creation!! Beautiful card! Love the layering with all your goodies. Wow this is beautiful! I love the doily and the musical background! I also like how you made the sentiment pop out! Very festive, I like it! Wonderful vintage feel to this, great texture and image! 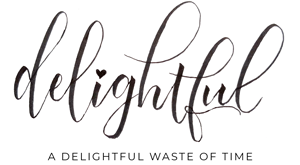 Great card–I too am a "collector" of papers–and it's good to release some from your stash and make something fabulous! How awesome that you were featured in such a cool magazine! I would love to have a copy of it myself to peruse 🙂 Really neat use of the vintage looking heart doily and sheet music! This is a wonderful example of using some of that gorgeous stash we all have. What are we saving it for? how pretty…love the vintage feel of this card. What a fun and fancy card! I love how you used the sentiment across the center of the card. Congrats, Meredith! Lovely card, too! great card, love the vintage feel. thanks for sharing. Great card–I like all the embellishments and the sentiment flag. This is so cute, I love the sheet music! OMGosh your card is scrumptiously glittery and colorful and full of holiday cheerfulness. Mahalo for sharing what we could do w/ our stash, also. It's Valentine's Day and Christmas all rolled into one. Great way to show how much you love Christmas. So fun and festive…love all of the sparkle! You have made a very beautiful card! Fab card! Thanks for sharing! 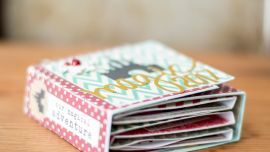 I love how you've used your stash and incorporate them for this adorable Xmas card! this is traditional christmas to me. golds, greens, reds…vintagey patterns, textures. i LOVE it! OMG!!! Your card is so beautiful! I love all of the layers. This sentiment is perfect here!! Thanks for sharing..can't wait to see more! It's been a pleasure to be a part of this fantastic hop with you! I love all the layers on your card Meredith! Yummy texture – definitely worth digging into the “stash” for all those details! What a beautiful card.. Love the layering and how it is distressed on the edges. I love including the sheet of music on the card. So very cool, Meredith! I love all the beautiful layers and textures. Cute and vintage looking card – The sheet music paper is the best and all of the extra little details are great – being low on ink helped your sentiment look old – it fits well with this card. Great whimsical card! Love that lace! Thank you for sharing. I like the layers and the colors. Very festive! So creative! Love the sheet music! This card is beautiful love the gold heart ! Beautiful card! All the attention to detail just makes it fabulous! Love the variety of textures on your beautiful card! Very cute card. I love the music sheet. Love the vintage feel to this card. I like how you incorporated vintage sheet music into your card. The curve of your holiday sentiment strip is great — I must try this technique. It is a lovely card! Congrats on having so many cards published, Meredith! Also, I loved reading your post last week on your adorable DD's first day of preschool. I love all the items that you used for your card, I really love the glittery snowflakes. Thanks for sharing. Super cute! I love the way you layered all the embellies! Love all the gorgeous layers and the cool retro style! Gorgeous. Love your waving banner. Lovely colors and layers! Thanks for the reminder about checking if there's enough ink in the printer. I've been there! Congratulations! You've made a lovely card here – sometimes old isn't so bad… lol. Love the bling and the music sheet background looks awesome!